The annual National Economic Review leads the national debate on productivity, infrastructure, innovation, employment, education and growth. Hosted by public policy institute Global Access Partners, this parliamentary format encourages open and constructive dialogue and offers unique networking opportunities for its speakers, delegates and international guests. 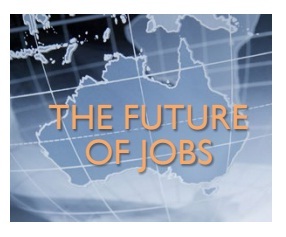 The Global Access Partners 6th Annual Growth Summit will be held on 17 and 18 September in Sydney, and will discuss ‘The Future of Jobs in Advanced Economies’. Nina Sochon is will be one of the speakers on the event. A select high-level audience of one hundred delegates will consider the current trends and disruptions shaping the future of employment and identify the challenges and opportunities facing individuals, employers, education providers and policy makers. The future of work will involve more flexible, freelance and collaborative approaches in a less secure job market.